Creative present a new CB8100 model of wireless headphones. It's an unusual product - Bluetooth headphones, which can also work with a cable. That's the key feature of the CB8100 - Dual-Mode. However, this feature is not widely spread in wireless headphones, so it's certainly praiseworthy. 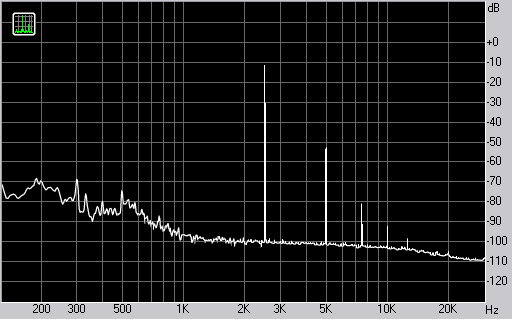 The CB8100 headphones use GFSK modulation of Bluetooth 1.2. Reception range of this model is 10 meters. It's powered by batteries in the left headphone and in the transmitter. The bundle includes a power adapter to charge batteries. Built-in batteries are much more convenient to use than changeable batteries, which were used in the previous CB-2530 model. According to the manufacturer, the play time of these headphones is approximately 10 hours. The headphones are made mostly of plastic. They are light-weight even with the built-in battery. These headphones have a folding headband, which remains sturdy and does not collapse accidentally. 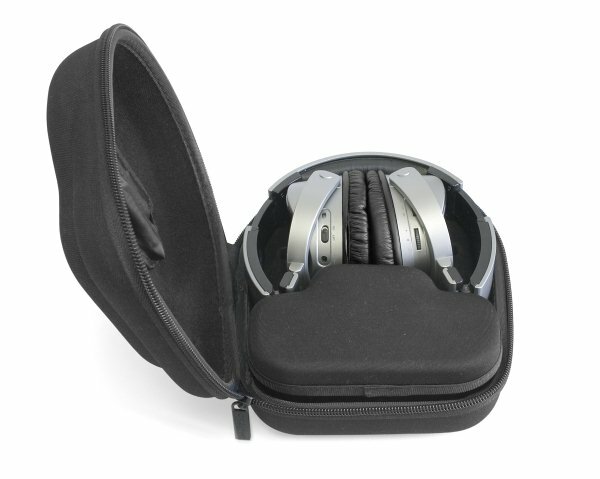 The manufacturer bundles the headphones with a carrying case. So you don't have to buy it as an additional accessory. This case holds the entire bundle. Folded headphones. The power adapter, cables, and the transmitter come in a separate box. The earcups are designed to cover your ears completely, even though they are not very large. As you can see on the photo, there is a small recess in the earcup to release some pressure on the upper part of your helix. Owing to this feature, earcup pressure is distributed more evenly, so that you can use the headphones much longer without feeling discomfort. Leather-clad earcup cushions are quite soft. 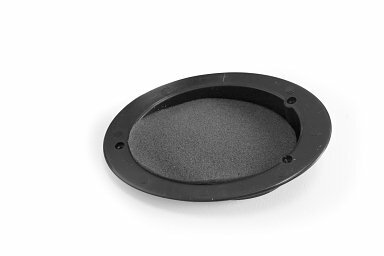 A diaphragm (50 mm in diameter) is installed slightly below the center of the earcup. Interior volume of the enclosure is cushioned with the acoustic material. The diaphragm is protected from mechanical damages with a plastic grid. Both enclosures house headphone controls. There is a wireless switch with an indicator and a power connector on the right enclosure. The left one contains a Bluetooth control, a discrete volume control, and a line-in connector. The volume control can also be used as a mute button in its middle position, but it works only in the wireless mode. The transmitter is assembled in a miniature box with a short cable and a minijack at the end. 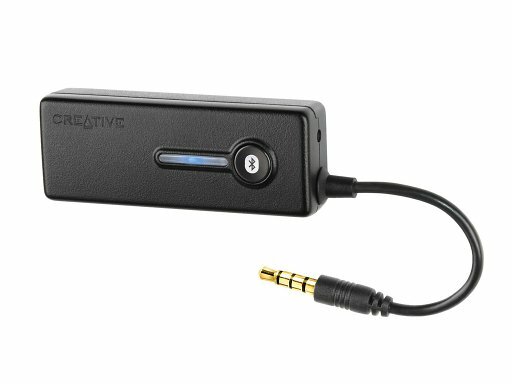 The wireless audio adapter is equipped with a power LED and the on/off button. 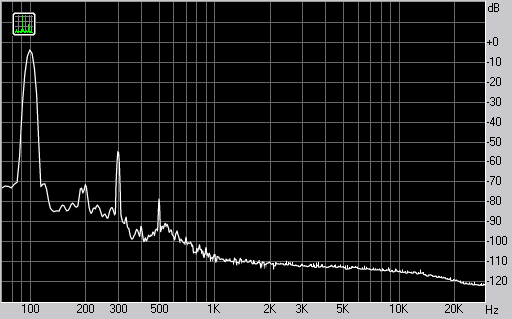 Sampling frequency is fixed at 48 kHz. 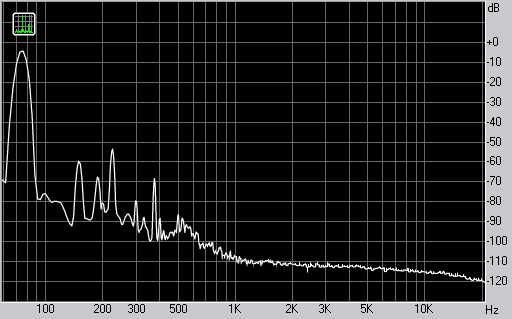 We use RightMark Audio Analyzer PRO for our measurements. 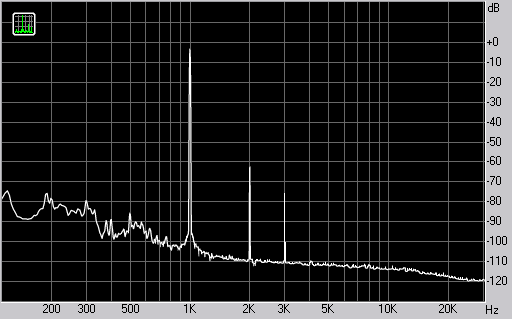 The frequency response graph shows very high irregularity. 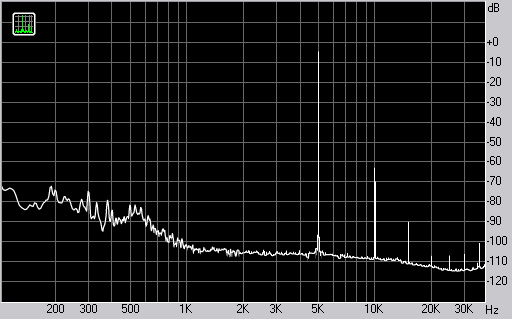 Non-uniformity reaches more than 20 dB at high frequencies. 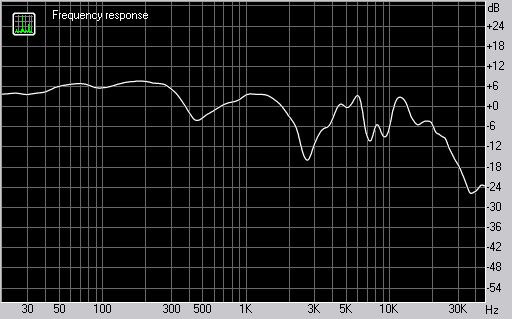 Such frequency response flatness is a mediocre result for full-sized headphones. 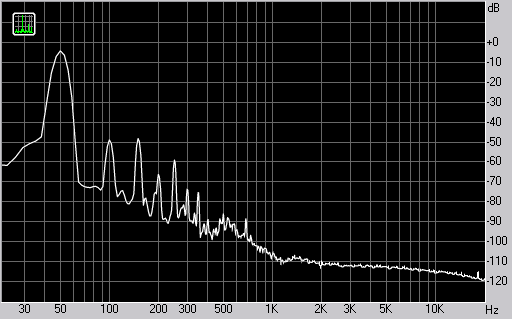 On the whole, harmonic distortions are on the average level. The spectrum is quite clear. We mostly see n-tuple harmonics. These results are good for a device of this class. The Creative CB8100 offers mediocre audio quality, considering that these headphones are not cheap. 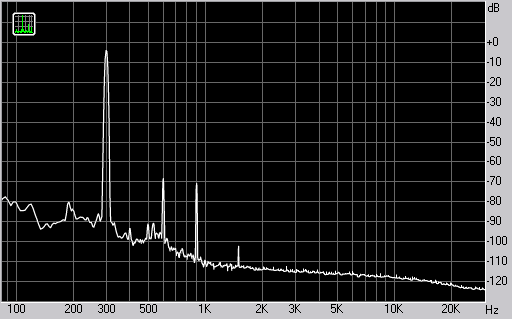 We can mention colored medium frequencies and slightly accented low frequencies. However, considering the main application of the CB8100 (mobile devices), these drawbacks are not very noticeable. 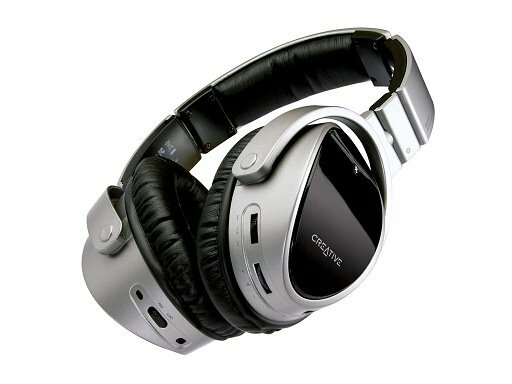 Besides, it's not quite correct to compare the wireless CB8100 with wireline headphones of the same price. In our opinion, the Creative CB8100 is a good product. Advantages of these headphones include their usability, the choice of connections, and the excellent bundle. There are actually no serious cons. But if you are interested in audio quality in the first place, you should pay attention to wireline full-sized models.